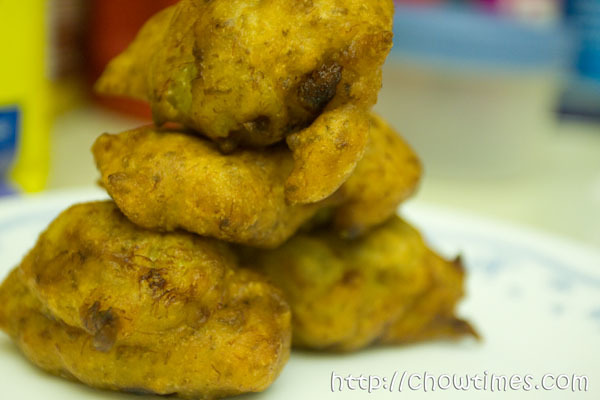 Fried Banana Fritter or Kuih Kodok in Malay is a common street food in Malaysia. I had not eaten this for 9 years since I immigrated to Canada. I missed it so much that I decided to make it at home despite that I do not like deep frying in my kitchen. 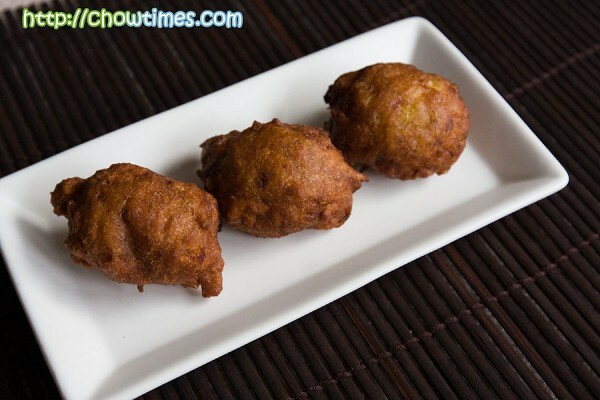 The Fried Banana Fritter is soft and sweet and full of banana flavour. It is best eaten warm. I got the recipe from Kuali but made some adjustment to it as I find that the recipe in Kuali has too much salt in it which makes the banana fritter more savory than sweet. I prefer it to be sweet. This is a small interruption to the Washington DC travel series as Ben is away at Chicago right now. Here is a simple soup recipe which Ben enjoys which I like to share with you. 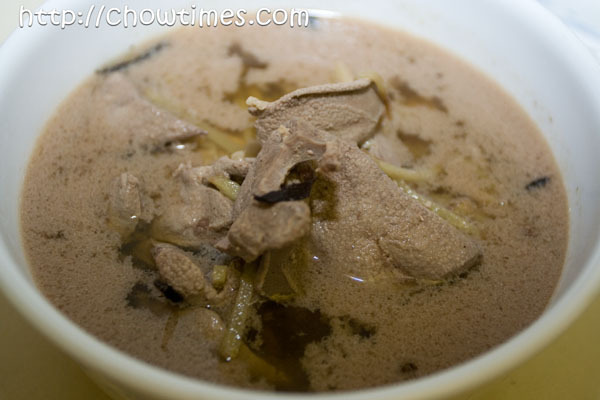 It’s Pork Liver Soup. 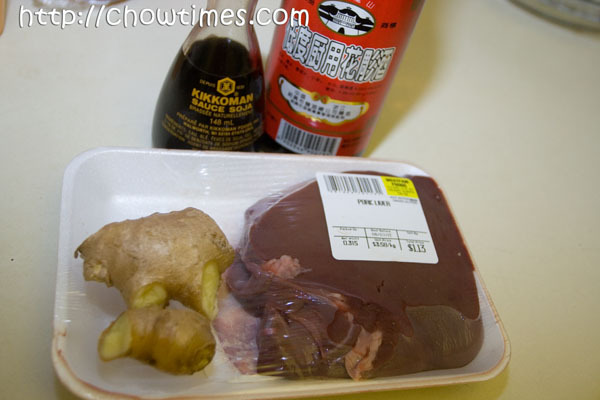 I had a lot of this soup during my confinement as it has lots of ginger in it. 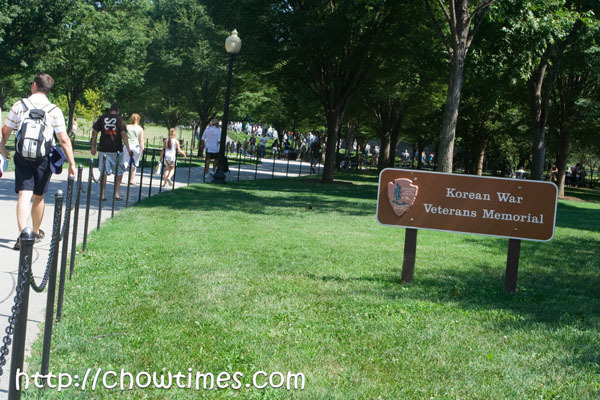 Washington DC sure has a lot of memorials dedicated to war, don’t you think? I am sitting here just thinking … in the recent history of the US, the past 50-60 years or so, are defined by wars. There seems to be a war somewhere that the mighty US military is fighting. This is so reflected in the sheer number of war memorials here in their capital city and the importance placed in them. Come to think of it … many of the important events in history are characterized by wars and battles … and most great civilizations and countries had great armies. It shudders me to think that one country can only attain greatness by its ability to wage and win wars. 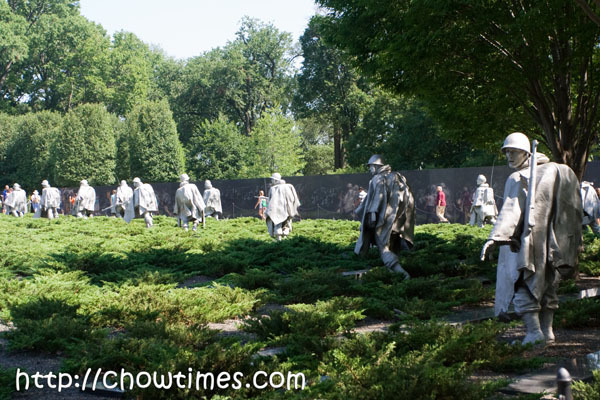 Just a short distance from the Lincoln Memorial is yet another war memorial that we visited, the Korean War Veterans Memorial. 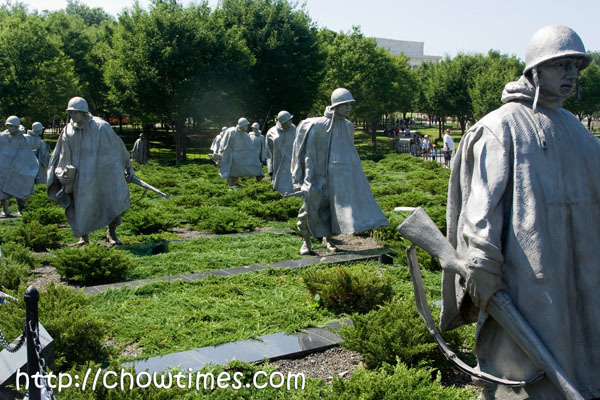 Although the Korean war was initially waged between North and South Korea, it was actually a wider war … it was a proxy war between the Soviet Union and the US during the Cold War era. The war erupted when North Korea invaded the South in 1950. The war lasted 3 years. I believe the war technically had not ended because of the stalemate in fighting that both parties just ceased fire without any further hostilities. Of all the memorials on the National Mall, the Vietnam Veterans Memorial is perhaps the most controversial of all. Just might as well … as the US suffered it’s only defeat in a war with pulled out from it’s involvement in Vietnam without achieving its objectives. The US got involved in Vietnam to stop the march of communism from China down to South East Asia. However, the country used the wrong strategy to fight the communist north and thought that sheer firepower will ultimately win the war. 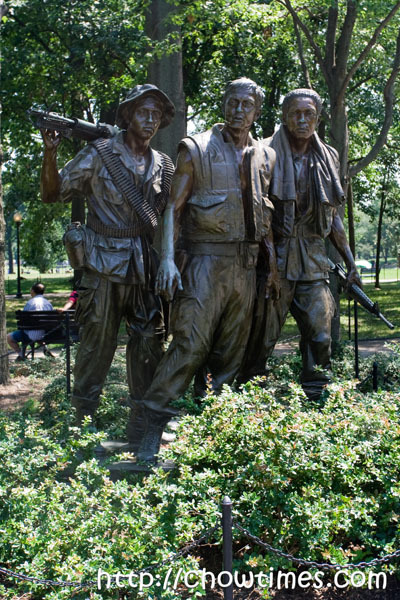 The Vietnam Veterans Memorial is actually made up of three sections … the Three Soldiers sculpture, the Vietnam Women’s memorial and the most famous of all the Memorial Wall. 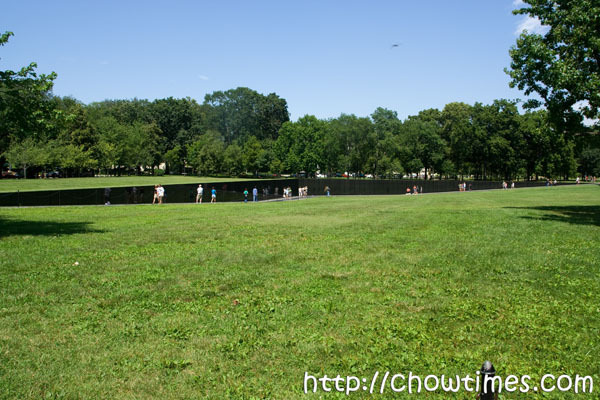 The Memorial Wall is made up of two walls gradually sunken to the ground from one side and rising from the other. Believe it or not, the Vietnam Memorial is designed by a 21 year old Arts student. You see, when they organized a competition for the design of the memorial, they made one decision … and that is all designs are to be identified by a number and the artist name is not revealed. It so happened that the design of the young artist was chosen over many other big names. Many believe that this design would not have been chosen if the artist name was made known. 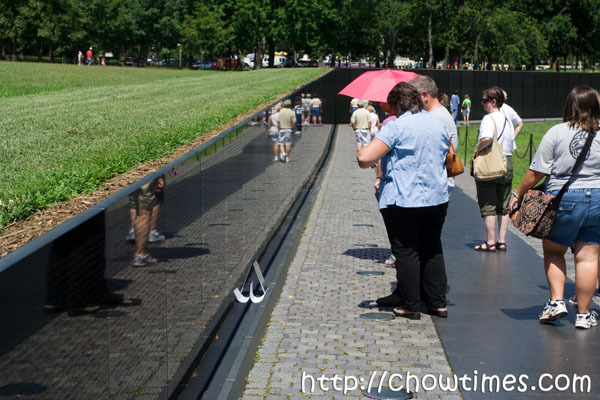 The design of the Vietnam Memorial is very symbolic but controversial. In the beginning, not many people is willing to accept the design as they deem it to be not traditional enough as a memorial. The bickering went to and fro until a compromise is made — and that is they will include an additional traditional memorial to the Memorial Wall. The addition is called the Three Soldiers. 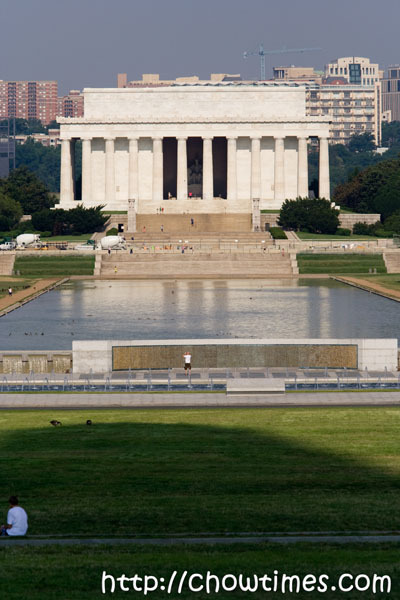 The Lincoln Memorial is located at the far eastern end of the National Mall. 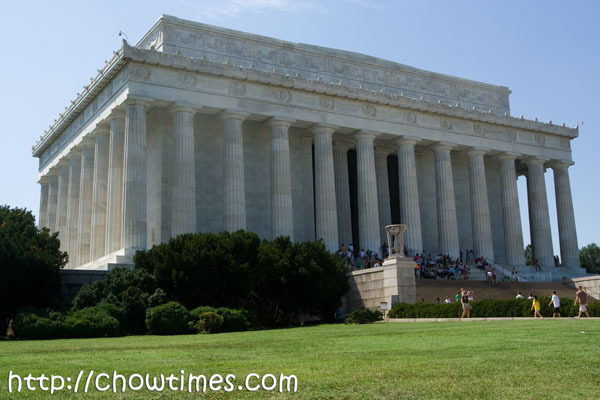 Besides the Washington Monument, the Lincoln Memorial is the most recognized and visited monument in the DC area. The above picture was taken from the Washington Monument. It seems like it’s just a short distance from the looks of it right? Well, it is almost 1 km between these two monuments. 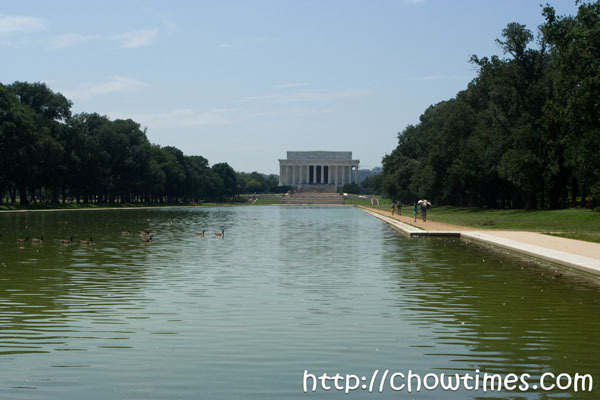 Between them is the famous Reflecting Pool. It was very hot and humid that day. It was just a long walk along the Reflecting Pool and we had a miserable time really. People tell me that summer is not a good time to visit Washington DC and I now know what they mean. 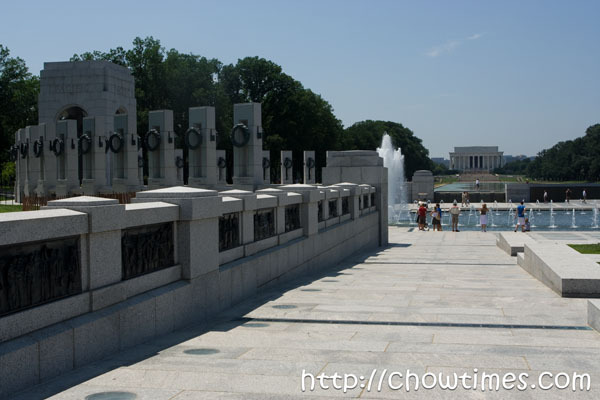 In terms of area built, the World War II Memorial is perhaps the largest memorial on the National Mall. 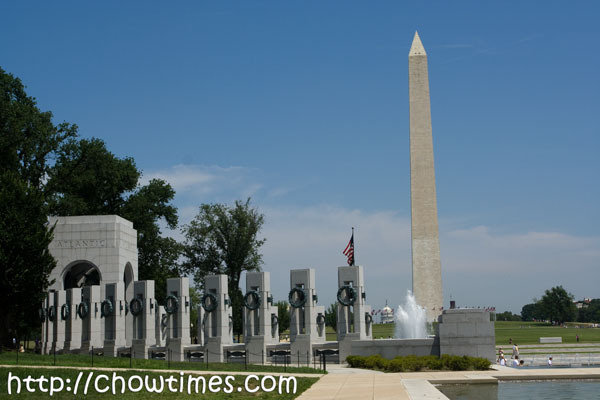 One would have thought that the World War II Memorial were built decades ago but you’ll be surprised, as we were, to learn that it was built just a few years ago. “World War II was the only war that was fought across six of the world’s seven continents and all of its ocean”, so wrote a British historian. It killed 50 million people in all. As the name implies, this monument is built to remember the sacrifices of Americans during the most devastating conflict in human history. Whether one agrees or not, the World War II had a profound impact on the American psyche. It was a “good” war … a war against tyranny and of liberation. The US fought the war on two separate fronts — the Atlantic and the Pacific. World War II was the turning point for the Americans on the global stage. It was out from this war that they emerged as the breadbasket and industrial superpower of the world. 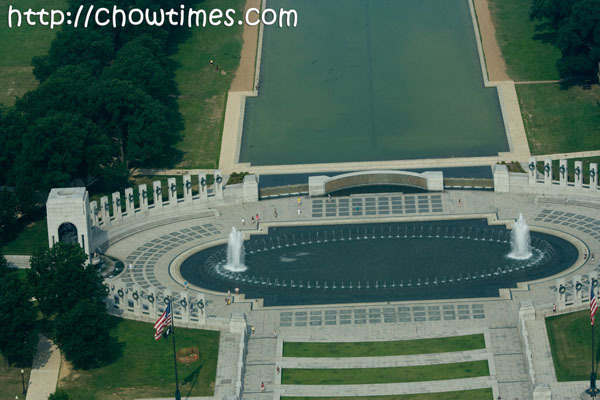 The World War II Memorial was placed right between the Washington Monument and the Lincoln Memorial. This reflects the importance of the World War II in preserving the democratic ideals of two great leaders of the US. When I visited the Imperial War Museum in London a year ago, I was moved by the Holocaust special exhibit. That was the first time that I learned and understood what the Holocaust was about and how the horrible events helped shape the world today and taught us that we need to respond to cruelty of man. I wanted Suanne to see it too and included this museum as part of our itinerary. 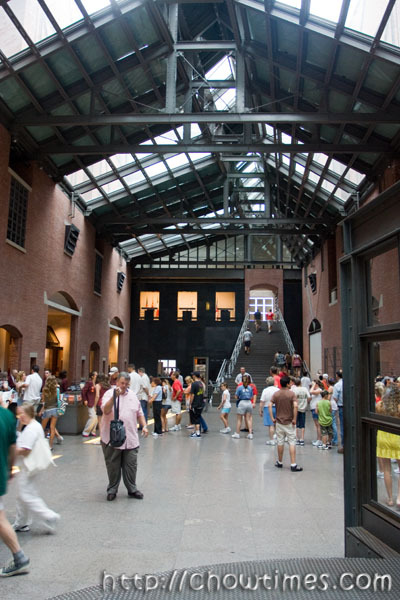 There are actually many Holocaust Museums in the world and surprisingly most of them are located in the US. 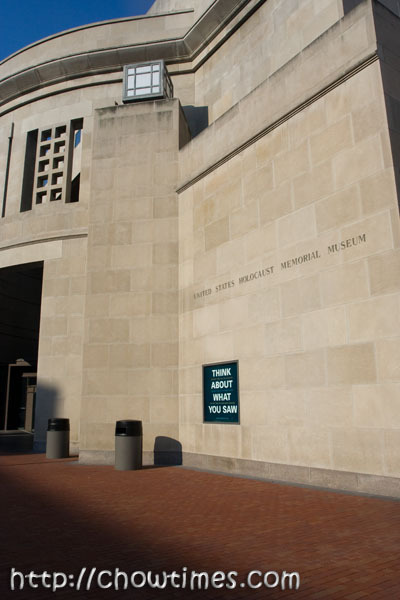 The one in Washington DC is called the United States Holocaust Memorial Museum which was quite newly opened during the presidency of Jimmy Carter. 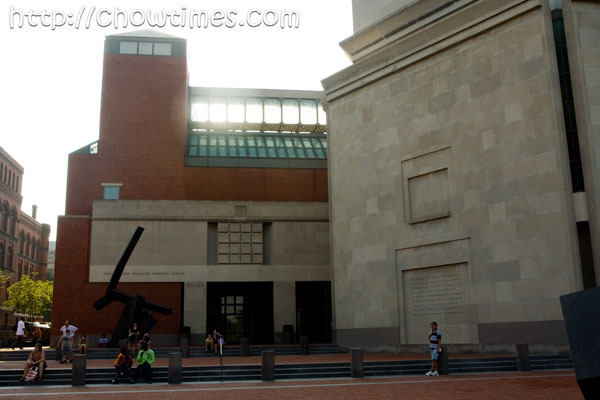 While the US government funded the building and operations, the US Holocaust Memorial Museum is funded largely by private sources, mainly Jewish I presume. 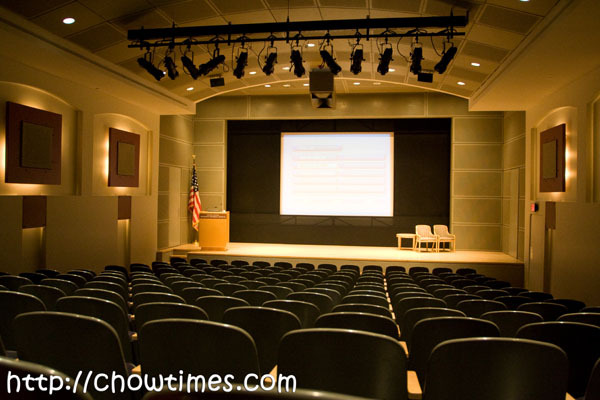 It is quite a large facility with a total of 5 floors of exhibits and other facilities. As expected, there is a security check before one is allowed into the building although the line moves very fast. Other than the lobby, one is not allowed to take pictures. I am not sure why though. I mean, these are all static displays. Too bad I can’t share much with you on our visit there. Admission is free to the Museum but you will need a timed pass for the Permanent Exhibition. Despite giving timed pass, the Permanent Exhibition is the most crowded of all and it’s close to impossible to really enjoy it. The Permanent Exhibit is broken down into three chapters over three floors. It started describing the life before the rise of Nazism and followed to the Final Solution where millions of Jews, gypsies, homosexuals and other “undesirables” were systematically exterminated. If not for the crowd, it would have been a good museum to learn about the holocaust. This is the second full day in Washington DC. We had planned for this day to be largely a “Monuments Day” where we spend our time on the western part of the National Mall. The first stop of the day is at the most important monument of all of DC … the monument that is dedicated to the man who won independence for the United States. Because of the importance of this monument, the Washington Monument is placed right in the middle of Washington DC and the National Mall. 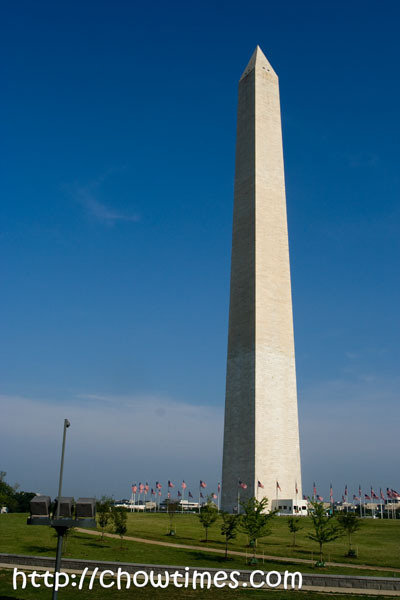 It is a simple looking obelisk and is the world’s tallest STONE structure and is the tallest structure in the whole of Washington DC. I am not sure about this but I won’t be surprised if there is a bylaw of sorts in DC that says that no buildings or structures may be constructed taller than this monument. The Washington Monument was built over 40 years. Construction were stopped for sometime because of the American Civil War. 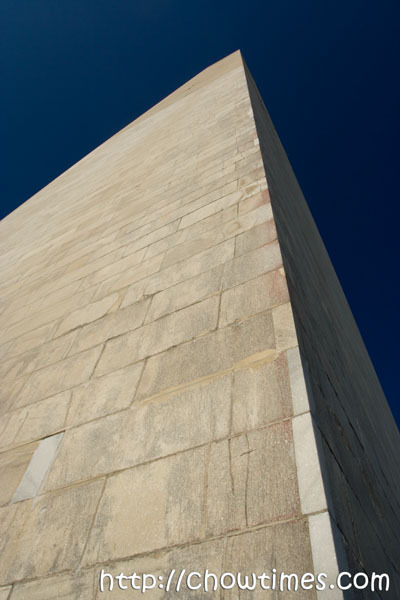 If you look carefully, at the picture above, you will see that the lower 1/3 part of the monument is lighter than the top part. At the time it was completed in the late 1800s, it was the tallest structure in the world until the Eiffel Tower in Paris took over the title. We were at the base of the Washington Monument very early … about 8AM or so. Already there were a lot of people lining up to get hold of the passes to visit the top of the monument. We were surprised to see such a long queue but really as soon as the box office was opened, the line moved along very fast. We did not have to queue up because we got the entrance passes before we left Vancouver. 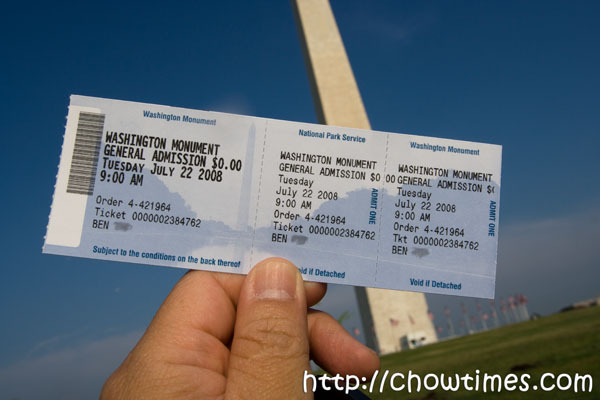 You can get the passes to the Washington Monument through their website. They take just a few days to have it mailed to your home address. It costs about $3 for handling charges if you want to go down this route. Of all the Smithsonians, we spent the most time at the National Air and Space Museum. After all, this is the most popular of all Smithsonian museums. 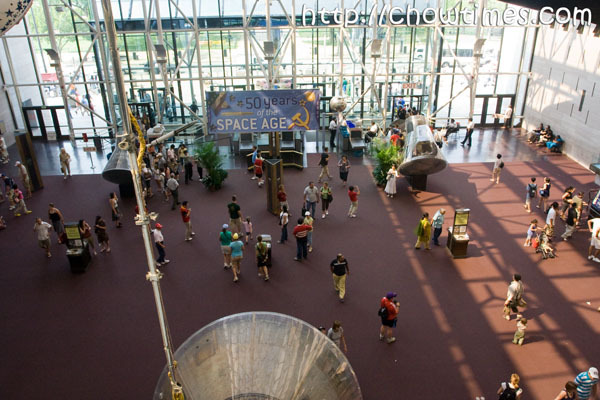 These type of museums appeals to people of all ages as almost everyone can relate to planes and space crafts. Strange as it may sound, humans had always wondered about flight and wished to soar like birds from the ages. 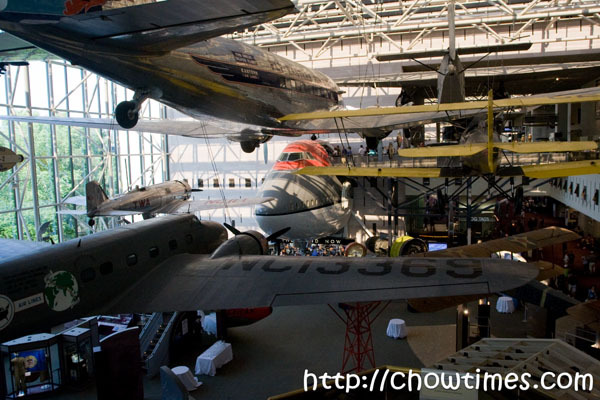 If there is only one aviation museum you ever want to visit, it will be this one in Washington DC. 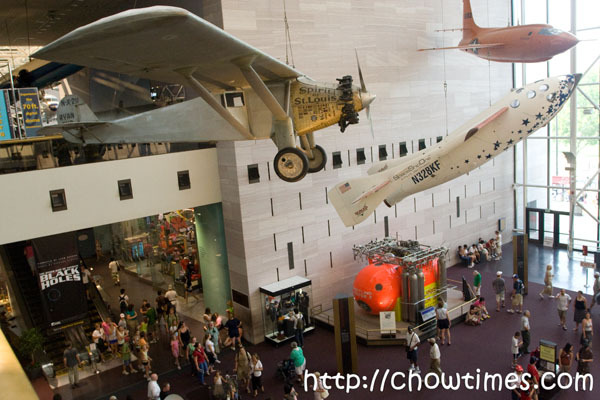 The National Air and Space Museum is the largest in the world with a very comprehensive collection of aircraft and spacecraft. And most of these aircraft and spacecraft are not replicas … most of them are originals. That makes this museum so much more special. Case in point … some of you can easily recognize the three historical aircraft here. All three of them are the originals … they are NOT replicas. The Spirit of St Louis was the first aircraft that flew non-stop across the Atlantic from New York to Paris. It is built to win a competition that awards a huge sum of money for the first man to do the transatlantic without stopping to refuel. Can you see what is odd about the design of this plane? It has no front window. The only way the pilot (Charles Lindberg) could see out is on the side window. Do you know why it has not front window? Guess and let me know. The futuristic shaped Spaceship One is the first private funded spacecraft that carries human. Until this was built, all spacecrafts are funded by governments. It managed to fly up to the height of 100 km which is officially recognized as the edge of space and earth’s atmosphere. The orangey bullet shaped plane is the Bell X-1 … the first aircraft ever to achieve the speed of sound and flown by the famous Chuck Yaeger. That, my dear, is the Mach-1 sonic plane. Alright, alright … here is one posting for all you foodies. 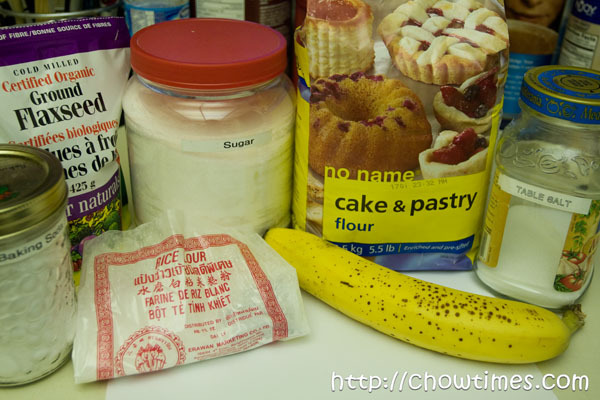 It is not terribly exciting to many of you, I know … but it’s still food. Actually I must admit I like McDonald sandwiches. 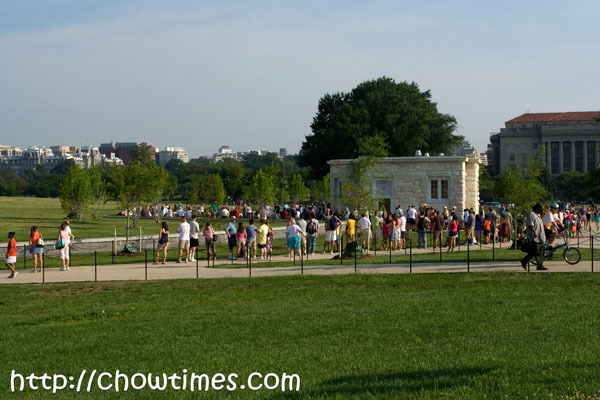 There are not much food choices around the National Mall area. 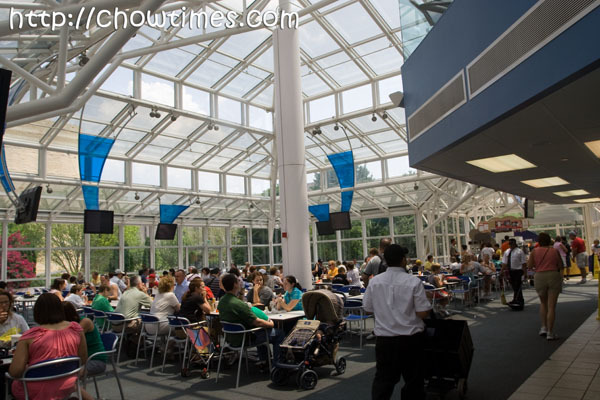 The only place I know where to find food is in the cafeterias in the museums. We were quite excited to see McDonalds in the National Air and Space Museum. I was surprised how big this outside was. 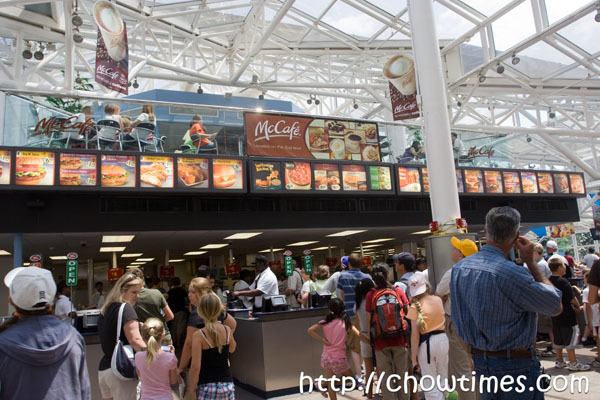 There is actually a McCafe at the top floor. This is the first time I had been to a McCafe. I don’t think there is a McCafe in Canada, is there? This McDonalds has a different ordering system. 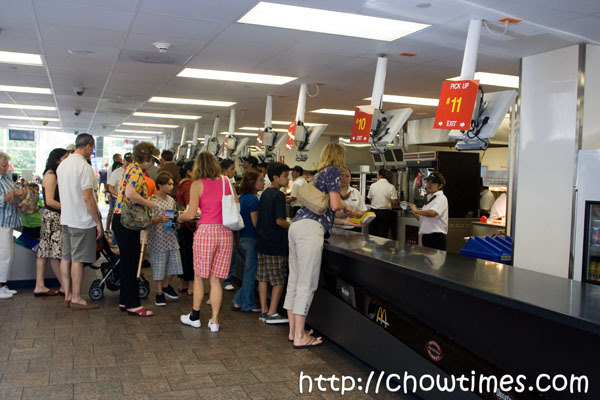 You place your order and pay on a front separate queue and they let you know which counter to pick up your order. I am sure there are bigger McDonalds but this is the biggest that I had seen.